Yeah, yeah… I know that Halloween hasn’t even happened yet, but I’m beginning my Christmas list now. 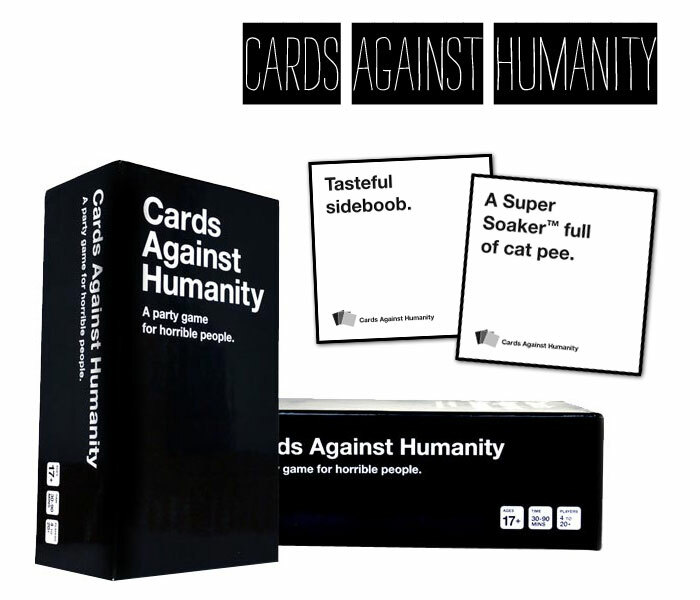 Periodically, I will post gifts I think worthy of “the list” and I’m beginning it with these: Cards Against Humanity. If you and yours have a sick sense of humor… or are maybe just a smidge dead inside, this card game is for you. Posted on September 28, 2013 by triciachatter. This entry was posted in Tricia Chatter and tagged #cardsagainsthumanity, #christmaslist, #deadinside, #funny, #hilarious, #onthelist, #thelist. Bookmark the permalink.